Last month EVE’s Onslaught update – one might call it a mini-expansion – went live and brought a couple new features with it. The one most interesting to Lakisa and myself is the addition of Abyssal PvE sites designed for up to three pilots working together. Before this there really wasn’t any type of PvE that worked well for duos or small groups. Sure, technically you can run sites or missions together, but why share the spoils when you can solo everything easily as long as you bring the right ship and setup? For example, my mission running alt handles every level 4 mission currently in the game with ease, and while bringing along another player would speed things up a bit it wouldn’t cut the time in half, so it’s more effective if both players do their own missions by themselves. We’d like to do stuff together though. Also, mission running is boring, no matter if you do it alone or in a group. So how do Abyssal sites work? You basically open a portal anywhere in space which can be entered by up to three frigate sized ships. This teleports you and your friends into an instance not accessible by other players. Each site consists of three pockets that have to be cleared of all NPCs before you can proceed, and some loot containers. 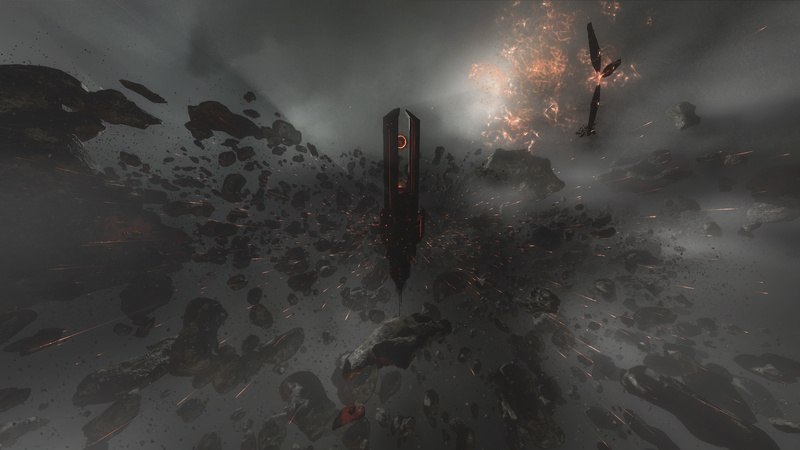 After 20 minutes the whole site collapses, and any ship still inside is destroyed along with its pilot’s pod. Considering the risk I cooked up some cheap Tech I frig fits for starters, two of which should be able to run tier 1 sites successfully going by early reports. Not wanting to go in completely unprepared I also looked up a bit of info on EVE University’s Wiki on the matter, then off we went. The very first thing you notice is how much more is going on visually than anywhere else in New Eden. It’s quite beautiful. You don’t have much time to marvel at the sights though, because the NPCs are all over you in an instant and the clock’s ticking. Turns out tier 1 sites really aren’t all that hard, and we didn’t have much problems disposing of the enemies while zipping from one loot cache to the next. There’s not just enemy ships though. 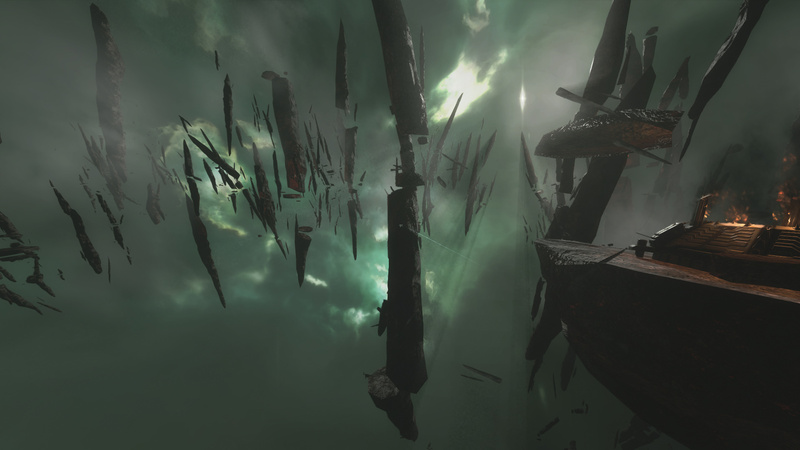 Nebulae give penalties to various ship systems if you fly through them, and automated towers have similar effects. There’s even one that attacks drones and missiles when in range. All of this doesn’t only affect players, the NPCs also get every bonus and penalty, so you can actually use it to your advantage. Even with the info we had going in we still needed to learn some things on our own. For instance, Lakisa used a Tristan at first, but her drones missed their targets very often. 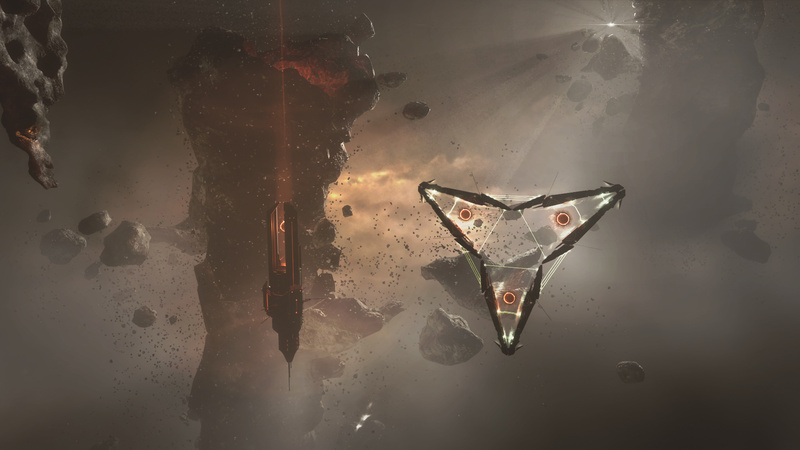 A bit of research revealed that the penalty “Dark” sites apply to turret optimal range and falloff not only applies to player and NPC ships, but also to drones. So she uses a Kestrel too now when we run Dark sites. Once all NPCs in a pocket are killed the gate is unlocked and you can proceed to the next, or, if you’re in the third pocket already, back to the spot in normal space where you started. You have to be aware that the entrance/exit is visible on D-scan in normal space and can be scanned down by combat probes, so other players could be waiting for you and your loot. 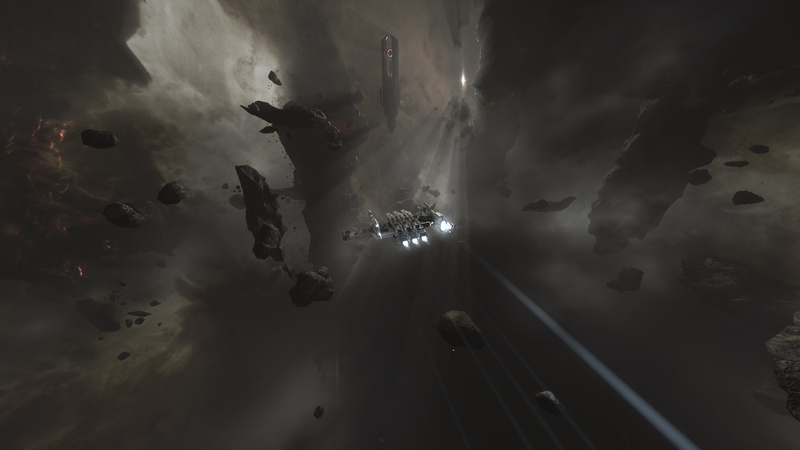 In high sec chances for that happening are slim, if you run the sites in low or null sec though – which we have to because high sec’s NPC police doesn’t like us – you should choose your point of entry wisely. So what’s the early verdict then? The first couple of sites we ran were tremendously thrilling and fun. No surprise really; it’s new, it’s shiny, it’s quite a bit more unpredictable than other types of PvE, and you’re racing against time. Once you get used to it the effect starts to wear off, unsurpsisingly. Still, it’s much more engaging and exciting than the alternatives. And we’ve just scratched the surface. We’ll take a shot at tier 2 sites soon and work our way from there. It’s not the Holy Grail of PvE by any stretch of the imagination, but in my opinion that’s not what you play EVE for anyway. For us it’s a way to play together while there’s no PvP going on and earn some ISK in the process, and it’s doing that job pretty well. Next PostNext Happy Frostfell to all!